1. 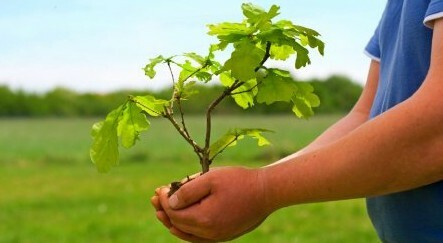 Adopt-a-Tree Outreach: Have you noticed all those city trees along the sidewalks? Don’t they add a lovely touch of nature to our city streets? Unfortunately, those trees have an average lifespan of 7 years. All they need is a little tender loving care. They need to be adopted! We’ve just rolled out our free web-based Adopt-a-Tree Mapping Tool, and we need several passionate individuals to go out and promote it! This is a relationship building opportunity, and not for the shy. If you are comfortable talking to people, enjoy being outside and active, have good technical skills, and are passionate about trees, then you’d be great for this. 2.Tree Ottawa Translator: Tree Ottawa is in need of a team of translators, who can translate our English website and documents (pamphlets, press releases, etc) into French. We need our translators to be comfortable working under tight deadlines, because sometimes we need documents to be translated within 24-hours or less. This is a vital role on the Tree Team. If you have a knack for language, grammar, and enjoy a fast-paced environment, we’d love to get you on board! 3. Tree Ottawa Social Media Management: Do you have a passion for communications and social media? We need a team member who can help manage our Facebook, Twitter, and Instagram outreach. There are two main components to the social media management: 1) we have a number of exciting events coming up that will require a strong social media presence (sometimes will include live tweeting), and 2) we need to find interesting and relevant tree related information from around the world that we can share with our followers and supporters! This is a very important role, as we continue to engage our supporters and build our presence in the community. The ideal candidate(s) will have excellent working knowledge of all major social media platforms, and will be available to post and schedule posts on a regular basis.